Online bookings can be made at the website. 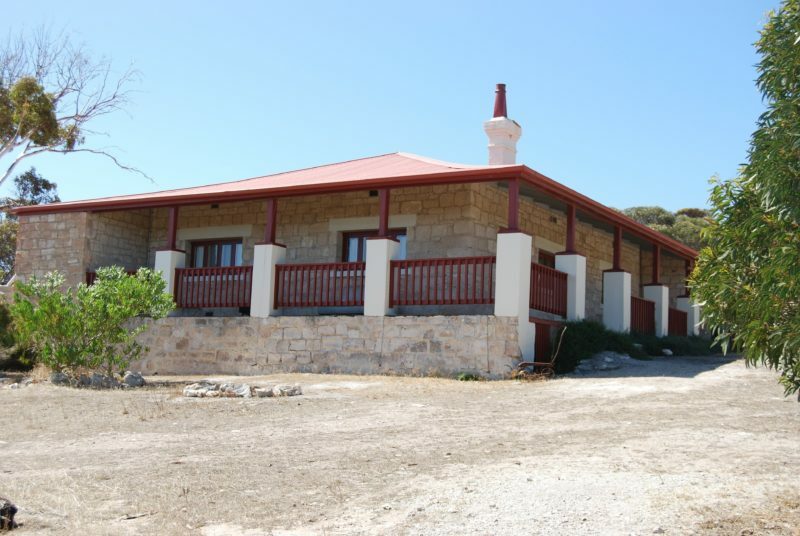 Just five minutes’ drive from the beach, the Inneston cottages provide an ideal base from which to explore Yorke Peninsula. Admire the magnificent coastline, discover great spots to fish, swim and surf, simply relax and soak up the ambience of the old township. Each cottage is fully restored and has its own unique features and charm. They each include heating, kitchen and shower facilities, and gas hot water. 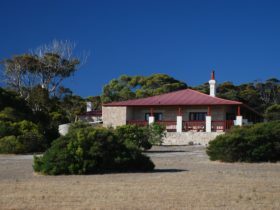 The Engineer’s and Manager’s Lodges command stunning views overlooking the salt lakes from their verandas (sleeps 10), while the cosy Gatehouse and Miner’s Lodges are nestled amongst the Mallee and ruins (sleeps six). Bring your own linen and bedding. Gatehouse Lodge is wheelchair accessible. The Norfolk Lodge (sleeps four); features antique Baltic pine furnishings and combustion fire. 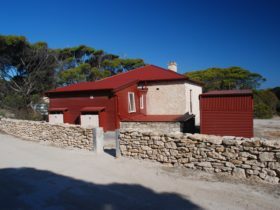 Mallee Lodge (sleeps four) and Post Office (sleeps two) have modern interior while maintaining their heritage exterior. These lodges are self-contained with all bedding included. 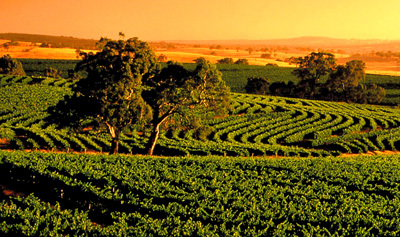 Inneston is one of 30 unique accommodation experiences available in South Australia’s National Parks. The Managers Lodge sleeps up to 10 people in three bedrooms (two with double beds and 3 sets of bunks), making it perfect for a larger group or two families. The large veranda commands stunning views across Inneston Lake and out to the coast. The lodge is self-contained and facilities include a shower and toilet, solar lighting and gas appliances. Bring your own linen and bedding. The Engineers Lodge sleeps up to 10 people in three bedrooms (two doubles and three sets of bunks), making it perfect for a larger group or two families. The large veranda commands stunning views across Inneston Lake and the rest of the historic township and ruins. The lodge is self-contained and facilities include a shower and toilet, solar lighting and gas appliances. Bring your own linen and bedding. Nestled among the mallee and ruins of the historic Inneston township, Norfolk Lodge reflects the charm of yesteryear with its built in wood fireplace and period-style baltic pine furnishings. The lodge is self-contained, with linen and bedding included. Facilities include a gas stove, fridge, toilet and a shower. The lodge sleeps up to four people in two bedrooms (one Queen bed and two Singles). 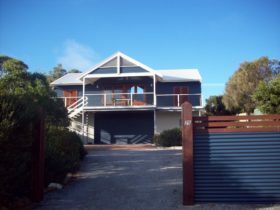 Mallee Lodge was restored in 2012 and boasts a fresh, modern interior while maintaining its heritage exterior and unique charm. The lodge is self-contained and sleeps up to four people in two bedrooms with all bedding included (one with queen bed and one room with two singles). Facilities include shower, toilet, cooking facilities, cutlery and crockery. Gatehouse Lodge is self-contained with two bedrooms (one double bed and two sets of bunks). 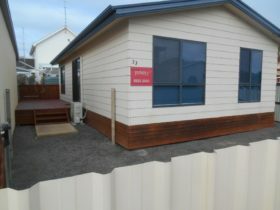 It sleeps up to six people in comfort and has bathroom and toilet facilities that are wheelchair accessible. Bring your own linen and bedding. Post Office was restored in 2012 and now combines modern comfort within a heritage building. Perfect for couples, this self-contained cottage sleeps two people in one bedroom (one queen bed) with all bedding included. Facilities include toilet, shower, cooking facilities, cutlery and crockery. 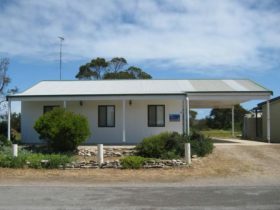 The self-contained Miners Lodge nestled amongst the mallee and historic ruins sleeps six people in three bedrooms (one double bed, one set of bunks and two single beds). It offers a cosy lounge with an open wood fireplace. Facilities include a kitchen and toilet. Bring your own linen and bedding.